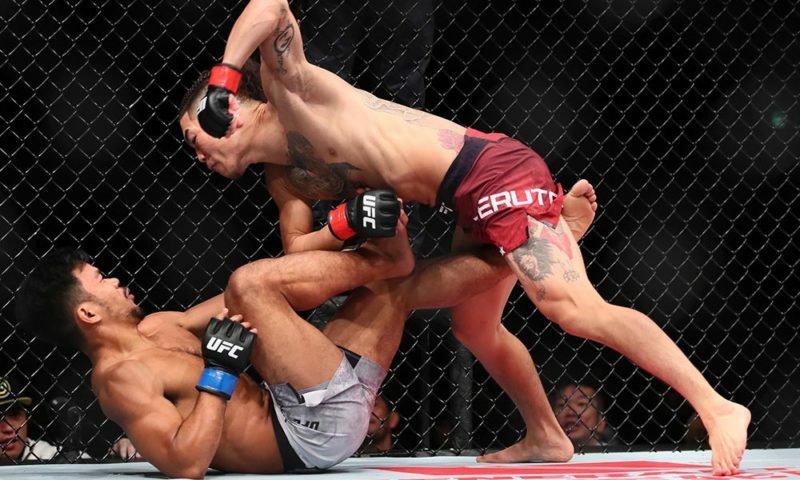 To any fan who desperately wants to show their friends how cool MMA is, the bout between Dustin “The Diamond” Poirier and Justin “The Highlight” Gaethje is about as good as it gets. The two men are English-speaking and hard hitting, with their losses as exciting as their wins. And the card is free on FOX, no less! 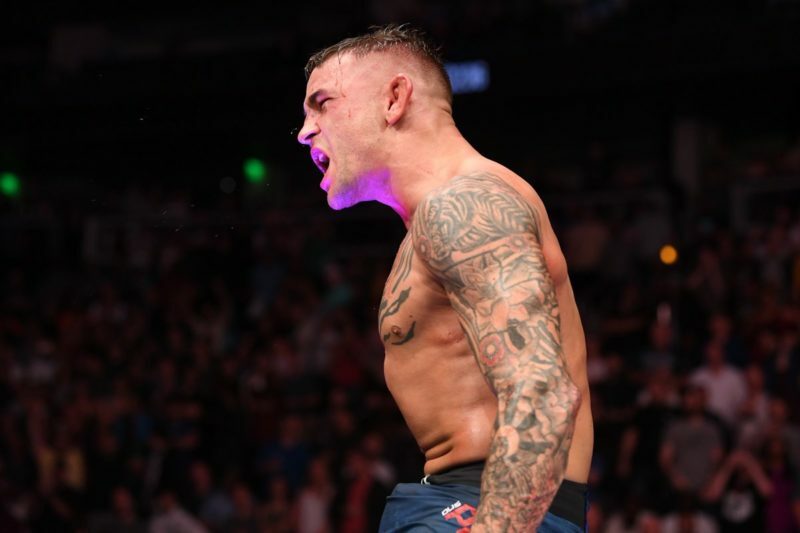 As early as 2012, Dustin Poirier was considered the “next best thing” at featherweight. Consider that he was 8-3 in the division before he moved with a mounted triangle of Max Holloway to boot. But after losing an absolute cracker of a fight to Chan Sung Jung, his brutal weight cut was affecting his ability to absorb punishment from the best in the division. So he moved up to lightweight. Moving up in weight has clear benefits but severe drawbacks. Your cardio and ability to absorb punishment increases, but you also lose strength and size. At only 5’9″ (lightweights these days are enormous), that was a serious concern for Poirier. But not only has everything worked out for Poirier, he’s also one of the few fighters that gained relative power with weight. Poirier is at his best when he marches forward and throws power shots in combination. His punches find the happy medium between short-armed and winging, producing efficient impact. The extra 10lbs he packs onto his frame has upgraded his shots from stinging to drilling. 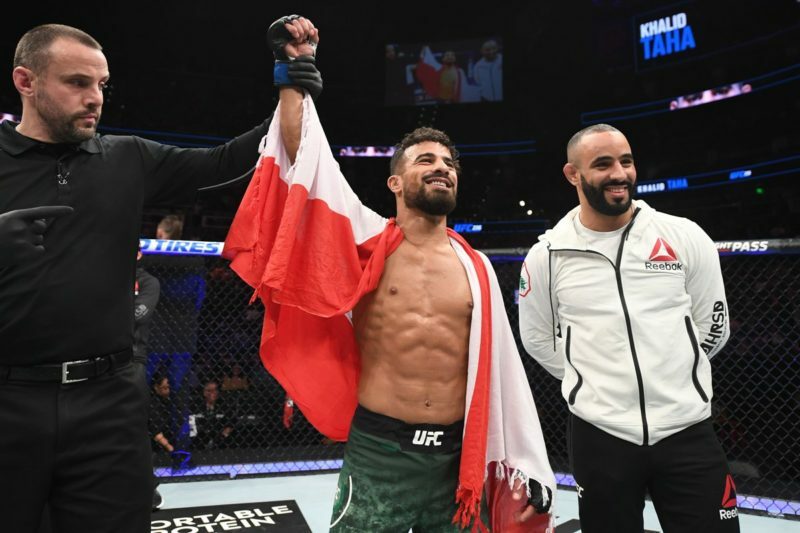 He’s knocked out three opponents since entering lightweight with two of those earning post-fight bonuses. Because he hasn’t submitted an opponent in over 10 fights, people forget that Poirier is a great grappler. 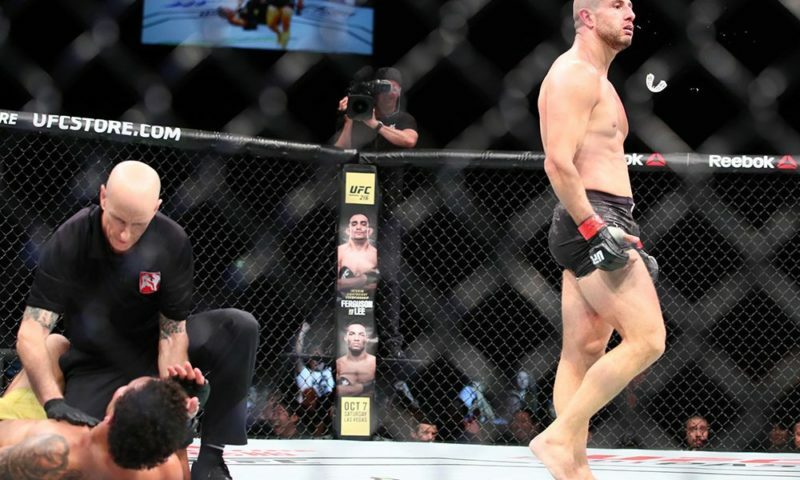 He went shot for shot against Anthony Pettis on the ground before the injury stoppage, which is a feat in itself. Did you know that Gaethje started out a wrestler? 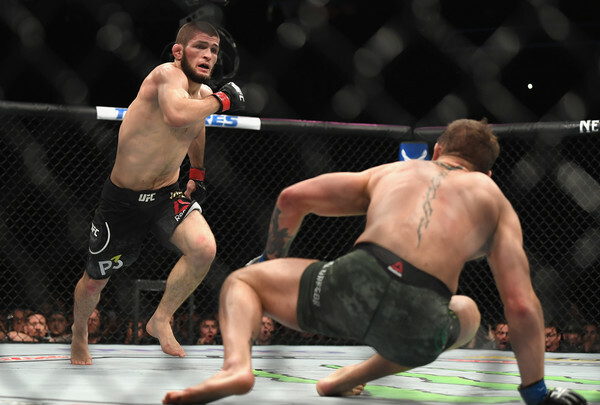 He began his career as an explosive takedown artist, showing shades of a neophyte Khabib Nurmagomedov or Daniel Cormier. But like many wrestlers, he discovered the joy of knocking someone out and focused on striking. Unlike many wrestlers, he’s succeeded marvelously at it. 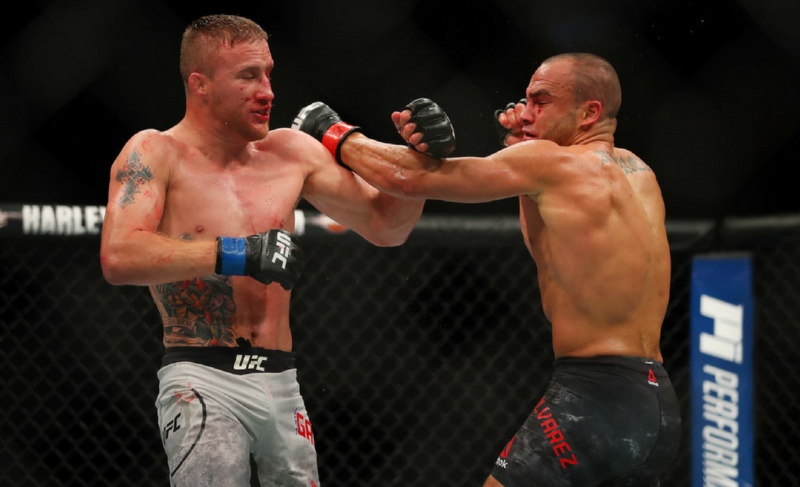 Gaethje’s striking was built by trial and error, and he’d just keep techniques that worked. Consequently, his striking is a medley of disconnected but effective techniques. His punches themselves are compact, but he throws so much of his body weight behind them that he’s taken off balance if he misses. But if he connects, he can produce one-shot power with a halfway windup. In particular, his uppercut is like something out of a superhero movie. But we’re here to talk about possibly the best leg kicks in the game. 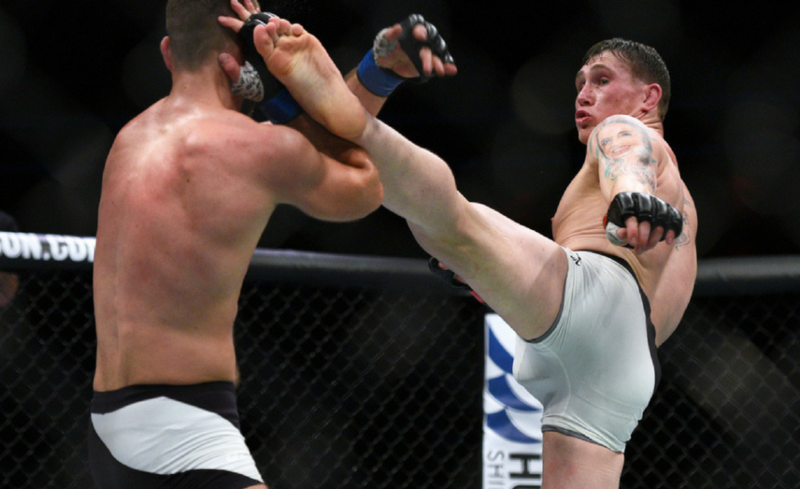 You’ll hear the term “turning the hip” used with a good kick and Gaethje is the epitome of this. When he throws a kick, it whips parallel to the ground to deliver an almost 90-degree angle impact. His leg kicks quite literally “chop” the opponent down. And he’s pretty indiscriminate about when he throws them. Need to end a combination? Hack the leg as they cover up! Opponent throwing a punch? Chop that leg while all their weight is on it! In the clinch? Surprise them by punting their thigh from close range! 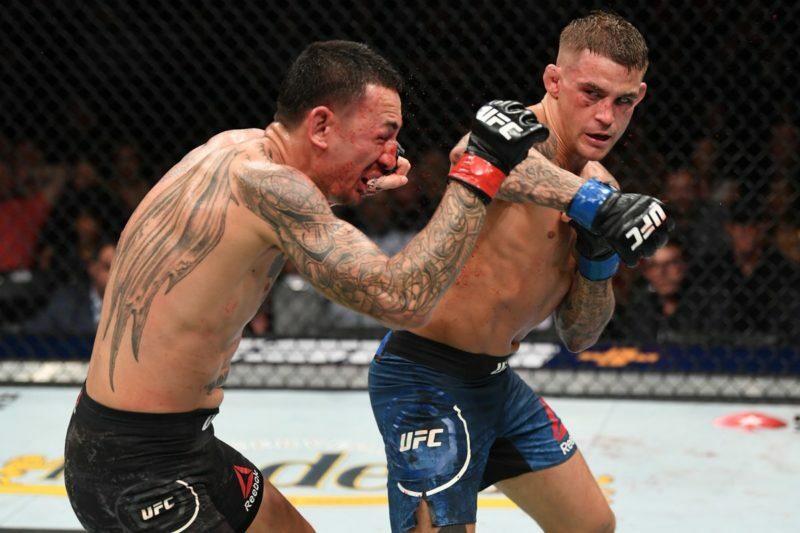 Both Poirier and Gaethje are elite lightweights, but they have serious defensive lapses. 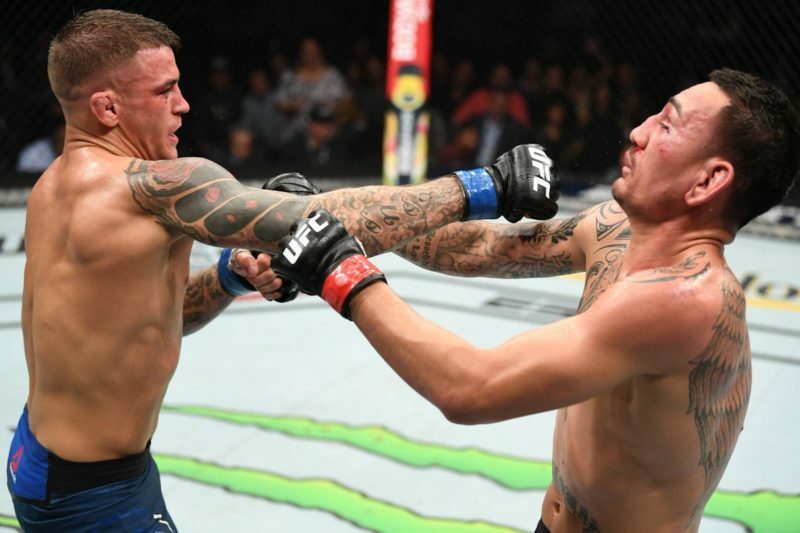 Poirier likes to brawl but is a middling brawler at best. He’s liable to getting hit as he throws, but his power advantage usually wins the day for him. 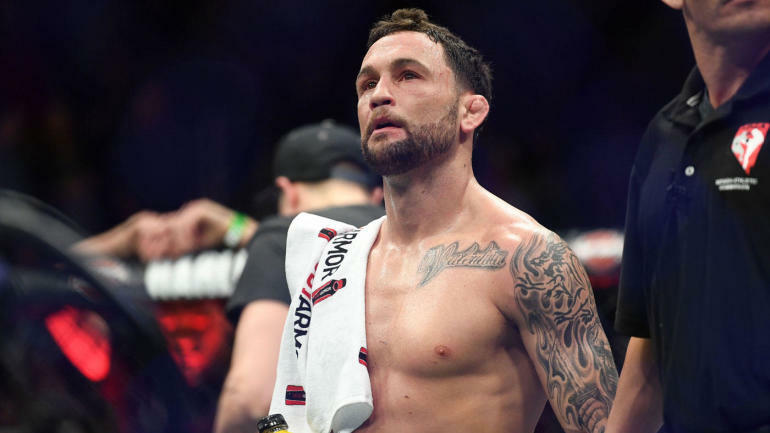 Unfortunately, he has a special blindside against southpaw fighters and both Conor McGregor and Michael Johnson were able to make him pay with emphatic knockout wins. Gaethje, meanwhile, relies on his magnificent chin and forearm defense. That leaves his body wide open, which Eddie Alvarez targeted to marvelous effect. He’s a spectacular athlete, but will still tire if he whiffs on too many punches. And that’s why you have to bring your friends to watch this fight. Neither man knows how to back down, and neither has the defense for a long fight against the other. 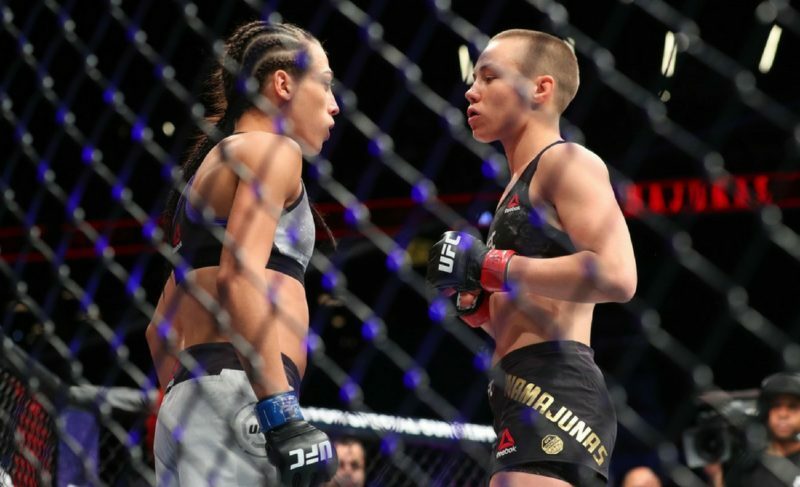 It literally cannot be a boring fight. Oh, and the card airs at 8pm ET, so that’s a plus.